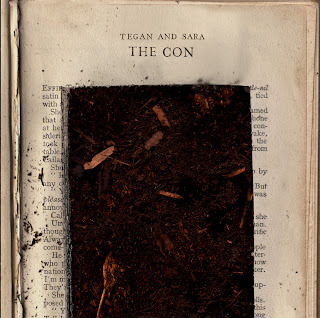 Tegan & Sara have a new album coming out in July. It’s called The Con. The twins have been living on opposite sides of Canada, and you can kind of tell. The album has some elements of the old T&S harmonies, but there are obvious new influences and trying of new sounds (half steps or keyboards). Luckily, they tie it all together quite well. I am enjoying their growth. Jul. 16, 2007 Vancouver, BC The East Cultural Centre SOLD OUT! Jul. 17, 2007 Vancouver, BC The East Cultural Centre SOLD OUT! Jul. 18, 2007 Seattle, WA The Triple Door SOLD OUT! Jul. 19, 2007 Seattle, WA The Triple Door SOLD OUT! Jul. 22, 2007 San Francisco, CA The Brava SOLD OUT! Jul. 23, 2007 San Francisco, CA The Brava SOLD OUT! Jul. 26, 2007 Los Angeles, CA SOLD OUT! Jul. 27, 2007 Los Angeles, CA Malibu Performing Arts Center SOLD OUT! Aug. 1, 2007 New York, NY Hiro Ballroom SOLD OUT! Aug. 2, 2007 Brooklyn, NY The SouthPaw SOLD OUT! Aug. 4, 2007 Boston, MA First Church in Boston SOLD OUT! Aug. 5, 2007 Philadelphia, PA The International House SOLD OUT! Aug. 7, 2007 Chicago, IL The Lakeshore Theater SOLD OUT! I’d been putting off posting any Tegan & Sara songs, because I’m sure they’ll ask them to be removed, but I don’t think anyone’s posted my favorite song yet. Get it while you can. Get a couple more at Neiles Life. I had the choice between seeing Animal Collective blocks from my house or driving an hour to see Matt & Kim. I think I made the right decision for me. Matt & Kim are delightful. Fun, spunky, and guaranteed to make you smile. I can’t wait to listen to them on a road trip. Nothing better to pass the time than pop-y sing-along tunes. Having seen them live will make for good day dreams. Here’s a song from their set Saturday night at Rubber Gloves. yacht, Yacht, YACHT. I Love YACHT. I’m super glad I saw him. If you weren’t there. You missed dyanmic dance moves, beats that move your feet, and almost choking on smoke from sparklers. Feel free to dance along. You know you want to. Happy Birthday Tina Fey! She’s one of my favorite writers/actors/comedians. Check out this great Tina fan site. Let’s all celebrate with some Interpol. Maybe you guys have found this elsewhere, but I am glad to have it having never been to Coachella, but greatly anticipating seeing them at the end of this month. Looks like they’ll be super busy touring in support of Our Love to Admire that streets July 7th. Rufus Wainwright just announced a tour date in my area and maybe yours. To add to the excitement, Neko Case is opening! A Fine Frenzy also joins them. Find out if they’re coming to your town. Rufus‘ cd Release the Stars came out yesterday. He’ll be doing an instore performance & signing at the Union Square Barnes & Noble in NYC today(7pm), and he’ll be on Letterman tomorrow night (Thursday). And you can hear 5 songs on A Fine Frenzy‘s (aka Alison Sudol) website. Her cd comes out on July 17, really good stuff. Last time, I saw Leslie Feist she was playing a small instore at Good Records. It was a small, but well attended gig before her opening set for Broken Social Scene. I’m glad that she’s all over the place now and getting the recognition that she deserves. I’ve started listening to KCRW over the internet while I’m at work. Nic Harcourt plays a stellar mix of songs and has some of the most respected musicians play in the studio. Listen to or watch Feist‘s appearance from May 10th on Morning Becomes Eclectic here. To celebrate seeing LCD Soundsystem on a HUGE scale, making thousands dance, here’s his All My Friends.